Build an all-in-one platform, accessible to employees from a single hub. Incorporate your voluntary benefits, salary sacrifice and all other employee benefits. Excite your people with ticket and travel benefits. Enjoy the concierge service. Our smartphone app brings benefits to your team wherever you are, whenever you need. Peer to peer thank yous, employee rewards, social recognition, staff incentives and motivation. "Each and every member of the team, across the UK feel part of our special community." 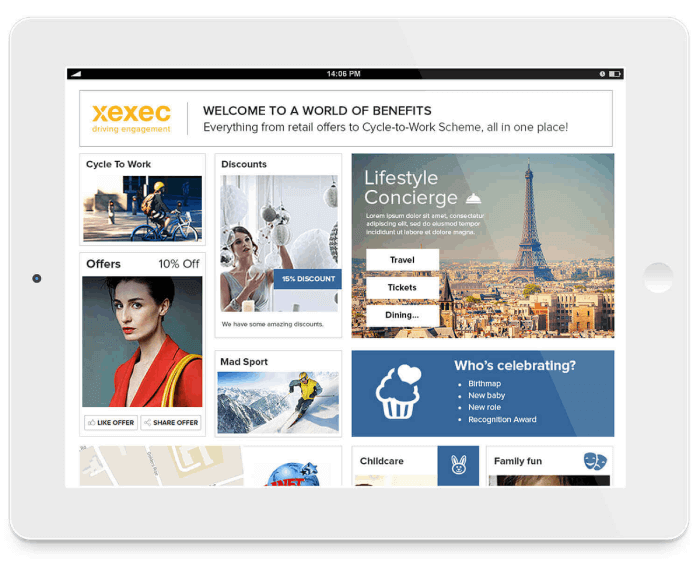 "The usage rates amongst staff are extremely high with the Xexec portal becoming the 'go to' place for all employee needs." “We have been overwhelmed by the uptake of and engagement with our new Reward & Recognition platform."